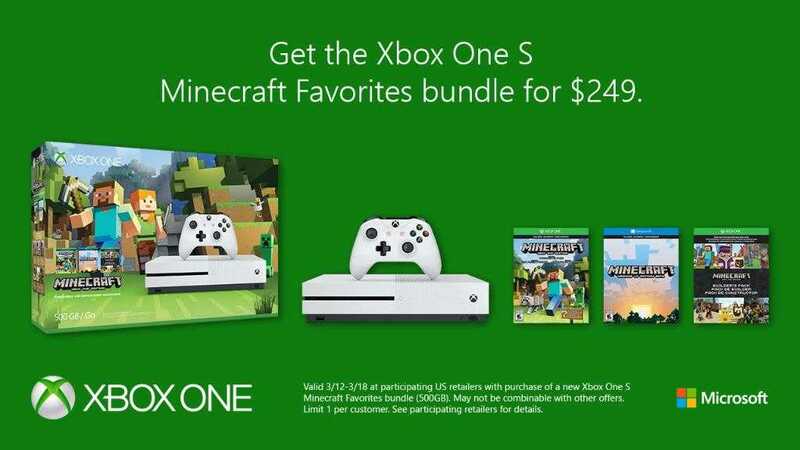 Microsoft has discounted the ultimate Minecraft Xbox One S bundle that is now available for a limited period. The package includes everything you need to get addicted to the craft building game that’s evolving with every passing year. The Mojang developed game Minecraft has come a long way and is now available on almost every platform you could think of. The advantage of buying the Xbox One S bundle is plenty as it includes a 500 GB console which offers enough storage space for all your AAA titles, includes a white wireless controller and a 14-day Xbox Live Gold Trial subscription pack. Also Read : Minecraft Pocket Edition Gets the All-Pink Candy Texture Pack. If you already love Minecraft, this is easily a no-brainer purchase because it includes 7 different community favorite content packs that add up to the gameplay experience. Microsoft is already exploring the possibility of bringing the game into the Holo Lens experience so as to allow players to experience it in a virtual reality environment. Mojang, developers of Minecraft has already released the Ender’s update which is a grand finale for the game’s never ending slew of updates. 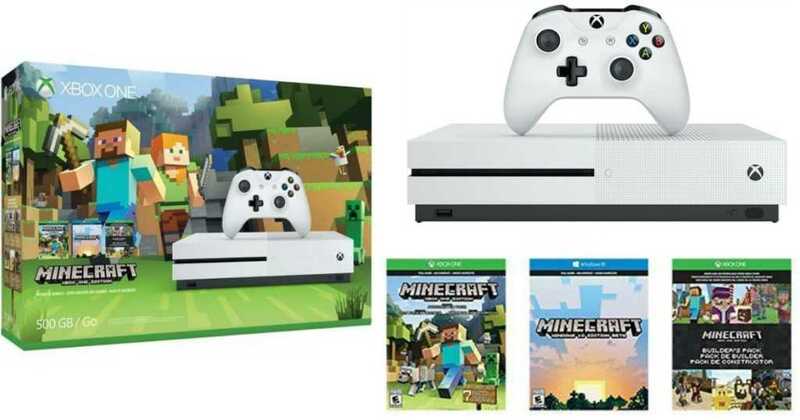 While the developers are looking at the possibility of expanding into Minecraft 2.0 universe, the Xbox One S white console with Minecraft bundle is your best bet at owning the console along with a free game. It will also hold up for a couple of months before the big Xbox Scorpio gets launched. The list of retailers is not available in the Microsoft store but based on the information provided, all top stores in the United States participate in this sale. The announcement was made by Larry from the Xbox team in his official Twitter account. Despite all the initial problems, Xbox One continues to sell in huge numbers on par with the PS4 console and has managed to sustain in the console wars. Xbox Scorpio will compete with PS4 Pro and possibly the Playstation 5 next year.